It’s always a delight to see the irony-poisoned runoff of the internet seep into real life. 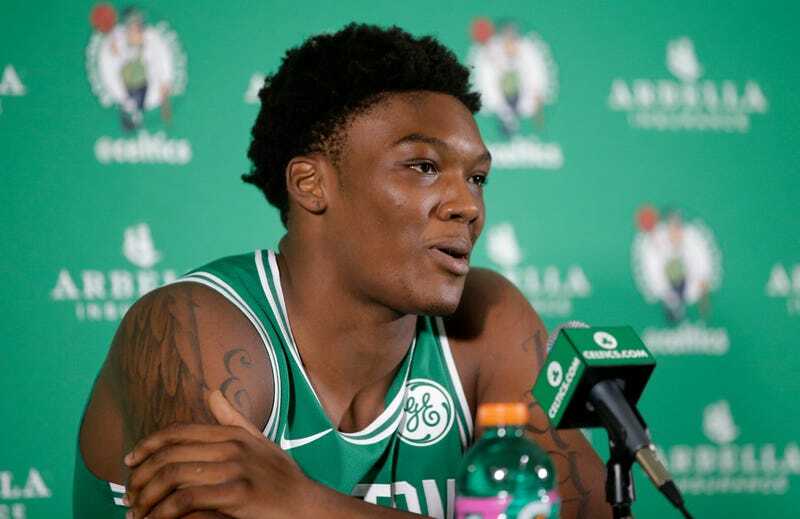 Consider the case of “Time Lord,” or Robert Williams, the endearing Celtics rookie who before the season had some problems getting to team functions in a punctual manner (if at all). The topic came up again this week, as Williams has earned more time due to Aron Baynes and Al Horford’s injuries; he’s used those minutes and his hops to stuff Anthony Davis twice, clobber a lob pass, and maraud the glass. Today, Celtics GM and president of basketball operations Danny Ainge appeared on Boston-based radio show Toucher and Rich (at the 4:29 mark), where the 59-year-old moderate Twitter user was asked how he felt about his bouncy big man’s nickname. “That’s a bad, that’s a bad name. I would not take credit for that,” said Ainge. “You don’t like the ‘Time Lord’ nickname, Danny?” host Rich Shertenlieb asked him. “I don’t, no. I think we can do better.” What does Danny have in mind? Let’s stick with Time Lord for now. Everything Okay Over There, Robert Williams?